They provide reference support for children during reading and writing activities. A word wall is a collection of words which are displayed in large visible letters on a wall, bulletin board, or other display surface in the classroom. Word walls can be a great learning tool for students because they provide a rich resource of vocabulary for students of all ages. 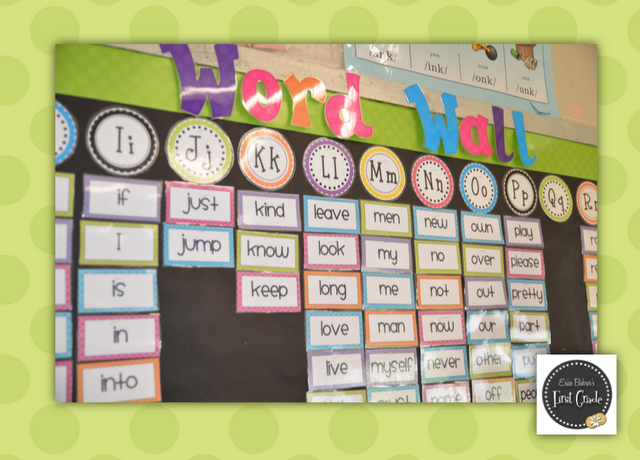 The main purpose of a word wall is to use it as a scaffold to help students develop their sight word and word identification knowledge. Make words accessible by putting them where every student can see them. The purpose of the mathematics word wall is to identify words and phrases that students need to understand and use so as to make good progress in mathematics. Mathematical language is crucial to children's development of thinking. If students do not have the vocabulary to talk about math concepts and skills, they cannot make progress in understanding these areas of mathematical knowledge. They need to be familiar with mathematical vocabulary and mathematical terms to understand written and spoken instructions (Reading Rockets). Word Family Word Wall: Word families help readers look for patterns when decoding. When students begin to recognize these patterns, they can sound out words that they do not readily know, which in turn can build their confidence during the difficult early reading stages. 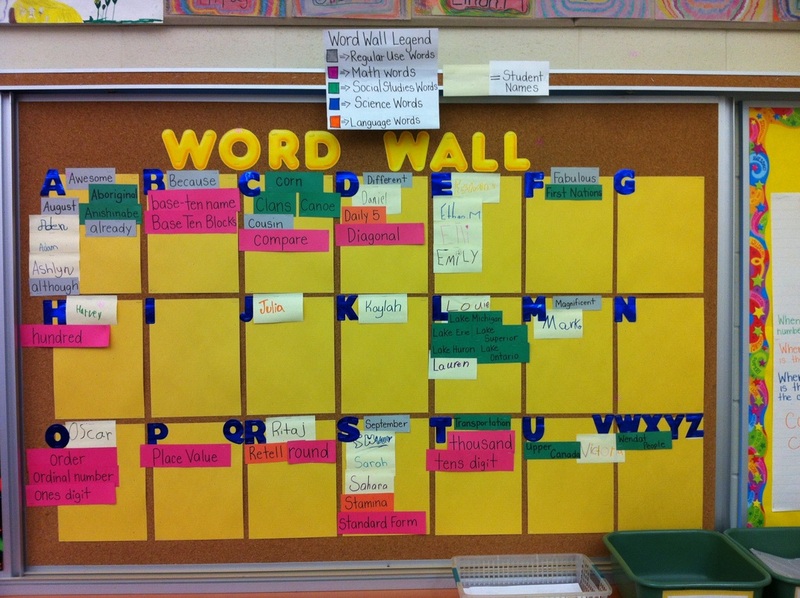 ​ Vocabulary Word Wall: Allows students to comprehend new vocabulary encountered in reading materials. After reading a story to the entire class, teachers can create a word wall using the vocabulary included in the text. Cunningham, P.M. (2012). Phonics They Use: Words for Reading and Writing. Boston, MA: Allyn & Bacon.